Sam Beam’s return to veteran indie label Sub Pop after five years with major label Nonesuch seems significant. When Beam introduced himself as Iron & Wine on the lo-fi-recorded folk pluck-alongs of 2002’s The Creek Drank The Cradle, he proved that all you need to make a great song is a few good chords and a warmly melodic voice. Yet with albums like 2013’s Ghost On Ghost, Beam strayed far from that stripped-down approach by adding strings, ’70s soft-rock production and a lushness that sounded dramatically different, even if the songs at their core were just as warm and nourishing. Beast Epic, Beam’s fourth for Sub Pop and sixth overall, is a happy midpoint between his starkest, simplest recordings and his more indulgent ones. Beam keeps to simpler arrangements on Beast Epic. The days of him simply finger-picking an acoustic guitar alone are well behind him, but a track like “Thomas County Law” only features slightly more instrumentation: light taps of percussion, a sparse bassline and gentle piano accompaniment. It’s the most intimate he’s sounded in years. The album’s relative spaciousness is neither shocking nor unexpected. Beam wears this comfortable, lived-in approach well, delivering songs that maintain the prettiness and emotional impact of past records while offering the illusion of sitting in on a loose session between veteran session players. “Call It Dreaming” is just such an example, a big-hearted hymn about making the most of our short-term flesh-and-bone rentals. There’s a knowing sense of hurt, yet he delivers it with a smile. 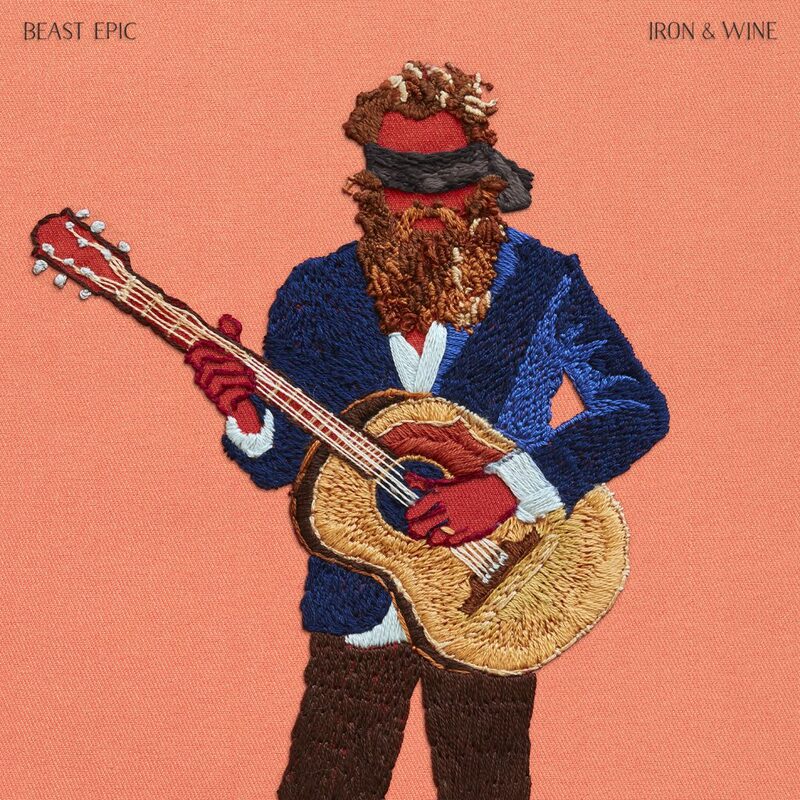 Everything about Beast Epic feels true to Iron & Wine. Beam neither abandons his greater ambitions nor overindulges. He’s making a return trip to his roots, offering a gentle reminder of his early records’ simple beauty while allowing himself the freedom to build.